Nospace gallery moved to new place a year ago (after a year and half in the first place) and we just renovated the gallery space this month. 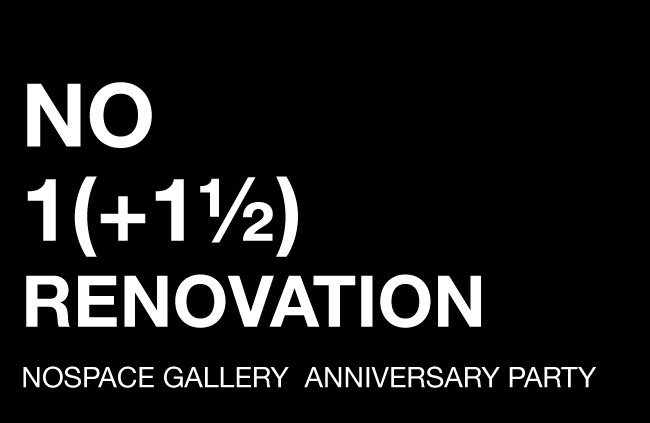 We guess now it will be perfect time to have a 1st (+1½) anniversary and renovation party. We also invited our guests to show some new work, performance and live music, see the description below. The party will be on this Saturday 19 February 2011, starts from 9PM. Come to see the space, or if you’ve never been in Nospace before, maybe this is the best time to check out the space. The party opens for everyone.